Xiaomi has finally announced an update to its custom skin, MIUI 9, with some new features and performance improvements. The new update will be rolled out to devices as old as the Mi 2, which was released back in 2012, although not all devices will get all the new features. The MIUI 9 update will be rolled out in batches starting with the Redmi Note 4, Mi Mix 2 and Mi Max 2 tomorrow. The company promises that all the eligible devices should get the update by the end of this month, but the OTA rollout will be done in batches. Xiaomi revealed a few devices that would get the update first, starting tomorrow, but the company will be rolling the update even to devices that are almost 4-5 years old. Here is the complete list of Xiaomi devices that will be updated to MIUI 9 in the coming days. Redmi Y1, Redmi Y1s, Mi Mix 2, Mi Note 3, Mi 6, Mi Max 2, Redmi Note 4, Redmi Note 4X, Redmi Note 5A, Redmi 4, Redmi 4X. How to upgrade to MIUI 9? 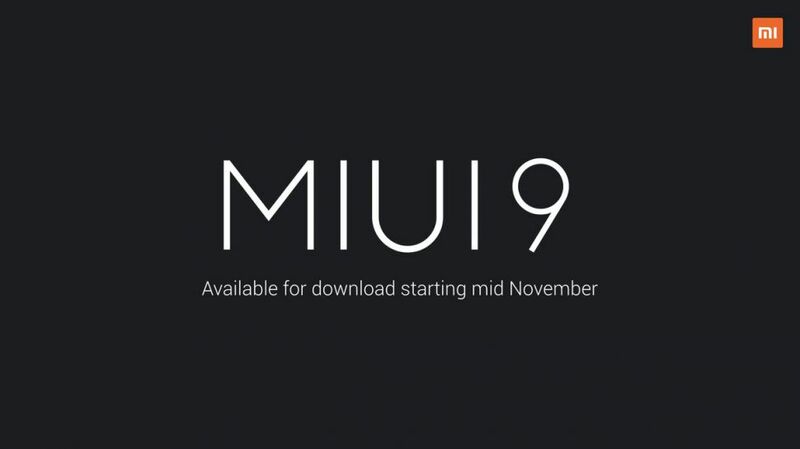 Upgrading to MIUI 9 is going to be an easy process— the system will notify you when an update for your device is available, you will have to tap into it and confirm the download. Otherwise, you can go the Updater app and manually check for updates. For those on a beta version or those who want to manually flash the MIUI 9 update when it’s available, check the MIUI forums for detailed guides on how to do so. What’s new in MIUI 9? MIUI 9 addresses some important issues that users have pointed out for a while now, including the notifications and app launch speeds. Making it an important part of today’s presentation, Xiaomi highlighted these features to show that it has addressed these issues after user feedback. The split-screen feature has been around for a few years now, thanks to Samsung and some other companies. However, it only made its way to stock Android with the Nougat update. Xiaomi, for its part, has also brought this feature to MIUI 9, but it will be restricted to a few devices that will get the Nougat-based MIUI 9 update. Xiaomi has made a few improvements to the split-screen feature, making it easier to use and allowing you to switch the positions of the apps in split-screen view. One of the most important changes in MIUI 9 is the new notification shade that finally behaves a lot like it does on stock Android. In MIUI 9, you can now expand notifications with a single swipe, bundle/unbundle notifications and also use the Quick Reply feature. This should come as a major relief to a lot of users, but the feature may take a few updates to become available. With MIUI 9, Xiaomi has also tried to improve app launch speeds by optimising the way the system responds to touch and using CPU acceleration to deliver an improved overall experience. Xiaomi also noted that with the MIUI 9, it has tried to address. MIUI has a very good Gallery app with a nifty photo editor built-in, and Xiaomi is further improving it in the MIUI 9 update. One of the highlights of new Gallery app is the ability to erase objects in photos – all you have to do is select the object or draw a line and the app will erase it from the photo. Photo-bombers may not be that much of a problem anymore! Apart from that, Xiaomi has also added support for Stickers in the Gallery app to help you customise your photos better. Xiaomi also revealed an overhauled version of its file-sharing app, Mi Drop. Featuring a new simple interface, the new Mi Drop app lets you transfer files really fast, no matter what the file type or size is. Even better, Xiaomi has made the app available on the Play Store, allowing all Android users to download and use it. Xiaomi also showed off other features like App Vault, an improved Mi Video app, some India specific customisations like the IRCTC card in the Messages app and festival cards for Indian festivals. Additionally, MIUI 9 will also come with an India-exclusive theme with a custom icon set.